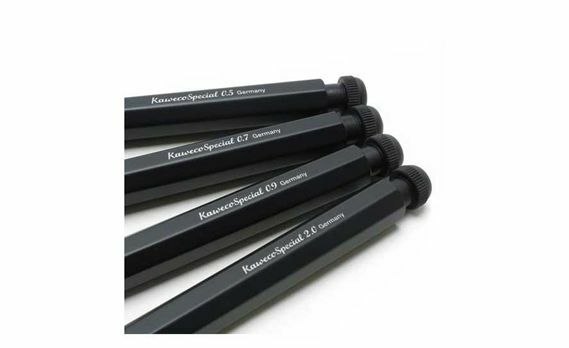 Order your Kaweco Classic Special Black Matte Pencil today from FahrneysPens.com. Fine Pens, Refills & Luxurious Gifts – great prices & fast shipping. 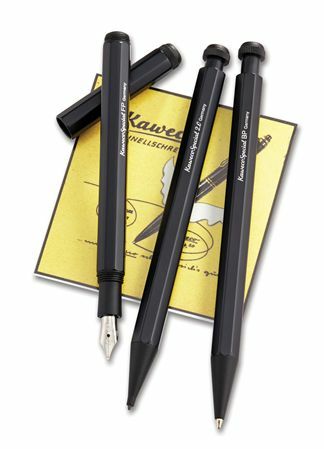 Modeled after office pencils from the 1930‘s, the Kaweco Classic Special is a long-time favorite for its sleek, unadorned look and dependable performance. With its octagonal profile, the Classic Special fits perfectly in one’s hand for great writing comfort. The anodized aluminum body is machined and finished in black matte for a pleasing surface feel and solid weight. The fountain pen has a threaded cap and grip with a German-made steel nib available with regular or ITALIC points. 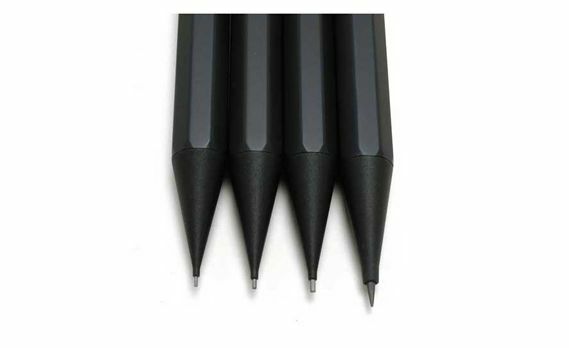 The ball pen and pencil have easy push-button mechanisms. 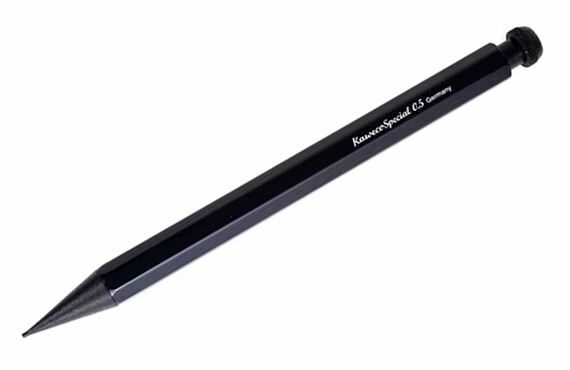 The pencil is offered with heavy-duty leads in your choice of 0.9mm or 2.0mm size. The Classic Special pens come without a clip – you can buy one separately.